150 years ago, India had just come under the direct administration of the British Crown after a failed mutiny attempt. China’s economic development was stunted by crippling treaties after facing defeat in the Opium Wars. The colonisation of Africa was looming on the horizon. And in the USA, civil war was at its peak: the brutal epilogue of a 300 year slave trafficking operation across the Atlantic. These are stories of a world long gone, a bloodbath characterised by racism, exploitation and inequality. How different is today’s world from 150 years ago? Words like ‘civil war’, ‘slavery’ and ‘racism’ are all phrases we still hear often – trending on Facebook, in the news, and at school or university. Australian children are taught to look back on the horrors of the 19th and 20th centuries and thank our ancestors for defending the liberty we enjoy today. We’re compelled to laud our remarkable Australian mateship and brag about our unique values. Democracy makes us free, our human rights make us equal and ‘dream, believe, achieve’ is holy scripture – no matter which God you believe in. But is all this really true? We only need to look deeper into the present to realise that the past isn’t very far behind us. “Let us rejoice, for we are young and free” – a notion instilled in us as soon as we are old enough to sing our anthem with reedy, childish voices. Australia is prosperous and young, with a civil society that thrives on multiculturalism and promotes tolerance. But there’s something wrong with this picture. First of all, Australia isn’t actually young. It isn’t even adolescent. Australia, as it is now called, is a continent that has nurtured human life for at least fifty thousand years. The word “young” only alludes to the presence of non-Indigenous human life in Australia. But even this connotation of youth is misguided. To imply our country’s youth is not only to disregard the rich culture of First Australians, but also to be complacent in our ignorance of Australia’s foundations rooted in an old British Empire. We are a nation whose liberal democratic values are still strongly linked to current values of the European country who first established a colony here. At any rate, Britain’s influence in Australia today can be debated. What cannot be questioned, however, are the remnants of paralysing exploitation faced by Asian, African and Native American people in colonial times. Some schools and universities discuss the atrocities committed at the time of colonisation, but what happened after the British left India? What followed the hasty decolonisation process in Africa? We are taught to applaud moments like the abolition of slavery in the US but we are rarely conditioned to appreciate the decades and even centuries of campaigning and activism that are necessary in order to integrate legislation into existing ways of life. The abolition of slavery did not at all ring in a new era of racial tolerance, just as the end of the White Australia Policy did not preclude discrimination. For instance, white supremacist movements and police brutality against people of colour are rife in the United States. At the helm of this crude and appalling movement is not one but various groups – their unfounded fury enkindled by the reverberations of vile patterns of slavery, segregation and violence. Most areas previously controlled by imperial powers have undergone decolonisation. All the same, colonial tendencies continue to manifest themselves throughout the world, albeit with ever-shifting symptoms. Colonialism, as a strategy of asserting control in a given region for the purposes of exploiting it economically, is still widespread today. Of course, the likes of the British East India Company are long gone – but other governments and corporations continue to reinforce discourses along the same lines. Colonialism was first legitimised as a mission to lift given societies to a higher ‘standard of civilisation’. These days, though, it’s often the facade of aid or investment which provides leverage to bring specific economic policy to developing regions. 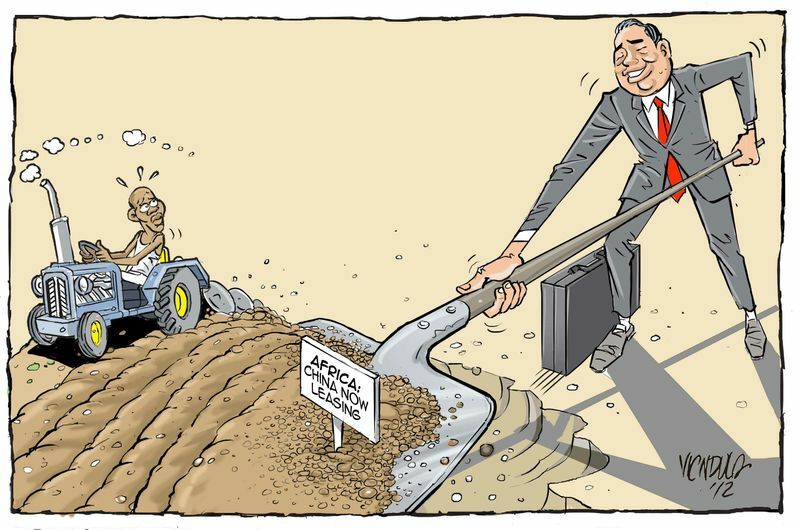 For instance, many African nations are currently faced with a phenomenon dubbed ‘land-grabbing’, where rising non-Western economies seek to expand their sphere of influence while also profiting from the extraction of Africa’s abounding national resources. This ‘foreignisation’ of given areas is a continuation of colonial trajectories in several ways. First of all, land sold to foreign investors like China and the Gulf States is taken from locals without notification, nor the opportunity to object. This is because governments are ready and willing to undercut the livelihood of locals in order to gain opportunities from foreign investment. New employment opportunities don’t often go to locals, but rather workers imported from overseas. On the whole, local working class populations are the ones to suffer. Sound familiar? Cloaked by new labels of ‘good governance’ and ‘corporate social responsibility’, colonial activity still persists in today’s world. While we cannot blame colonialism for all multilateral and domestic issues today, we need to realise that its repercussions will continue to be felt for decades to come, if not centuries. After all, colonialism is responsible in part for the very layout of the world into nation-states. Before imperial control was asserted, countries like Indonesia were not one unified nation, but smaller clusters of ethnic groups with different languages and cultures. Indeed, continental Africa was divided into uniform states by European leaders at a meeting in Berlin – splitting up already existing borders between different Indigenous groups’ territories. These borders still remain, and are perhaps the most obvious and tangible remnants of the past. There is little we can do to pinpoint which inequalities are derived from colonial activity. In a world where Global North countries have benefited immeasurably from exacting and profiting from Global South resources, how do we draw a line between where exploitation stops and legitimate progress begins? Instead, we need to hold our history accountable, and stand together against those who seek to repeat it today. The colonial period should not simply be reduced to an era that began and ended at a certain point in time. It’s a part of global history that cannot be ignored, and one whose ramifications we will regrettably continue to deal with well into the future. But maybe, if we can learn from the disasters of the past, we will realise that progress doesn’t only come from moving away from the past, but also from making peace with it.